To keep the thrill element of the story intact, Phantom Films requested their exhibition partners to release the film without any interval. MUMBAI: Actor Rajkummar Rao's forthcoming film"Trapped", which has already piqued audience interest with its edge-of-the-seat trailer, will not have any interval during its screening at theatres. Directed by Vikramaditya Motwane, the film, which has a duration time of less than 105 minutes, is slated to release on March 17. 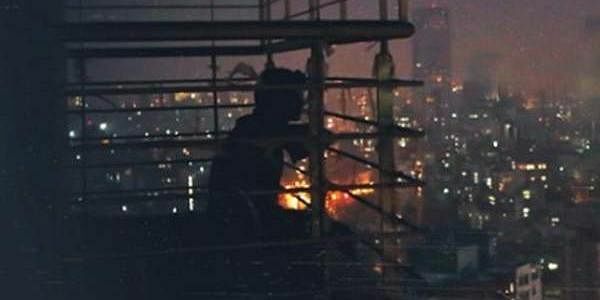 "‘Trapped' is the story of a guy stuck in an apartment with no food, no water and no electricity, and of his survival based on his primal instincts. The no-interval viewing allows the viewer to feel the character's emotion and gives them a never-before thrilling experience," Motwane said in a statement. "Earlier, it was Aamir Khan production's ‘Dhobi Ghat' to have a non-interval screening in theaters. I am extremely happy and thankful to all our exhibition partners for screening the film in this seamless way," he added. Alok Tandon, CEO, INOX chain of multiplexes, said: "INOX is happy to partner with Phantom Films for their continuous effort in introducing new genre of films to the Indian audience." Besides INOX, theatre chain Cinepolis also lauded the maker's decision. Devang Sampat, Director -- Strategic Initiatives, Cinepolis India, said: "Cinepolis won't let you move in ‘Trapped', the no-interval thriller. Cinepolis is happy to showcase the film in one go -- without a break, keeping the essence and sensibilities of the film in mind."